Some of you tried to use Picasa Photo Viewer Which I have posted Previously. Some of you even had a problems with installation. 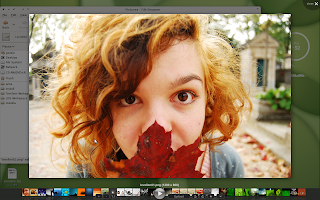 The thing is that Google also realize port for Picasa 3 Beta for Linux which you can get here. Great news but only sad thing about it is that they did not ported Picasa Photo Viewer which is a great peace of Software by it’s own (At least I think so). Even more as I expected that the port of Picasa Photo Viewer would happen the same time with as Picasa 3 by google I marked my package non compatible with it. (To avoid useless garbage on your HDD). Well as some of you are having some problems with installation and I wanted to use Edit with Picasa button which was broken in the previous build I decided to make another port which will use an actual Picasa Photo Viewer in the Picasa 3 Package with google. It means no garbage on HDD, no dependency on wine (Well Picasa has a modified wine itself), not compatible with Picasa > 3.0. It also should replace previous installation, if was one. Of course it requires Picasa 3. I would definitely advice everyone who used this package before or Picasa 2, to move to the Picasa 3. I received several questions on how to set Picasa Photo Viewer as a default photo viewer. As most of the people use KDE or GNOME the instructions can be different.